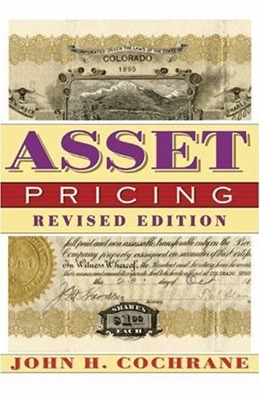 Winner of the prestigious Paul A. Samuelson Award for scholarly writing on lifelong financial security, John Cochrane´s ´Asset Pricing´ now appears in a revised edition that unifies and brings the science of asset pricing up to date for advanced students and professionals. Cochrane traces the pricing of all assets back to a single idea--price equals expected discounted payoff--that captures the macro-economic risks underlying each security´s value. By using a single, stochastic discount factor rather than a separate set of tricks for each asset class, Cochrane builds a unified account of modern asset pricing. He presents applications to stocks, bonds, and options. Each model--consumption based, CAPM, multifactor, term structure, and option pricing--is derived as a different specification of the discounted factor.